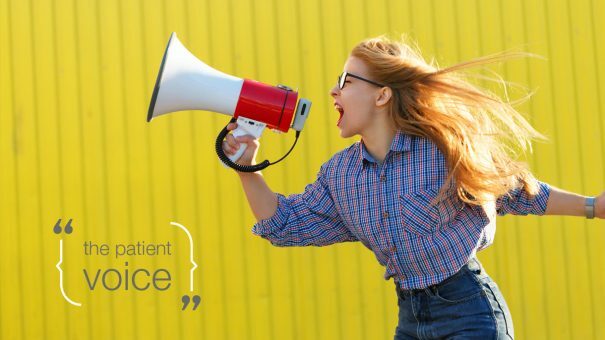 Listening to the patient voice gives industry the opportunity to learn about the challenges people with long-term conditions face every day – and come up with solutions. But it’s not just the pharmaceutical and health tech industries that need a thorough understanding of the issues in order to make patient centric decisions. As part of our patient voice series, we spoke to Cameron Dixon, whose family was told he would never eat, let alone talk, about getting his voice heard at the top echelons of power. Disability may be part of Cameron Dixon’s life, but the determined teenager has no intention of letting it define him. Cameron was born with a rare form of muscular dystrophy, and his mum Nikola Trevalyan-Blake, was told that if he survived at all, he would never walk, talk or eat. Fast forward 17 years, and he is studying computer game animation at college and interviews top-flight politicians in his spare time. The history-loving teen, who also finds time to play Power Chair football for The Villa Rockets, was presented with a WellChild Award in September. Held in association with GlaxoSmithKline, the scheme celebrates the “inspirational qualities” of the UK’s seriously ill children and young people. Cameron, who also lives with autism, lordosis, scoliosis and OCD, said that while life wasn’t easy sometimes, he wouldn’t let anything hold him back. “I see disability and rare disease not as an illness but as a challenge. Sometimes you might not get over the line, but it’s about how you deal with that challenge and where that leads you,” he said. According to all the definitions of patient centricity, understanding these daily challenges is the key to providing the tools needed to overcome them. Cameron took this philosophy to policy level when he was part of the team behind Rare Revolution magazine’s Rare Youth Project. As reported by pharmaphorum in November, the programme saw a group of youngsters living with or affected by rare disease produce a special edition of the publication. As political editor Cameron interviewed two politicians: leader of the Scottish National Party and Scotland’s First Minister, Nicola Sturgeon and Andrew Bowie, MP for West Aberdeenshire and Kincardine. And he didn’t miss the opportunity to put rare diseases on the agenda, quizzing both politicians on their knowledge of the topic. “Nicola Sturgeon knew quite a lot, actually, I was impressed,” said Cameron, explaining that he had conducted the interview with fellow budding reporter, Rowan Wallace. Rowan, 11 at the time, is a young carer to her mum and brother, who are both affected by familial cold auto-inflammatory syndrome type 2. Cameron and Rowan arrived at the interview with the AV1 telepresence robot, from Norwegian tech company No Isolation, which can act as a child’s “eyes, ears and voice” in the classroom when their illness forces them to miss school. It meant that Rowen’s brother could take part in the conversation, but it also gave them the chance to show how such a device could make a real difference to everyday life. “I hope that the meetings I had with the politicians will stay with them. Hopefully, they will go on to keep thinking about rare diseases and they will raise awareness of the issues themselves,” said Cameron, adding that the other main topic of conversation during both interviews was, unsurprisingly, Brexit. Raising awareness of rare diseases, and the issues facing the almost six per cent of the population living with them, is really important to Cameron. “Having a rare disease can be bad sometimes but it’s not the end of everything and it’s about finding ways to work through that. I am all for research into rare diseases and trying to find a cure, and we also need to find other ways to help. “I have had terrible times, but I am proud to say that I am disabled, and I want to get that message across,” he said. So, what does the future hold for Cameron? “I want to interview people who have a bigger impact on the world than me. That way I can have an impact on them,” he said. To find out about sponsorship opportunities for the next Rare Youth Project, click here.